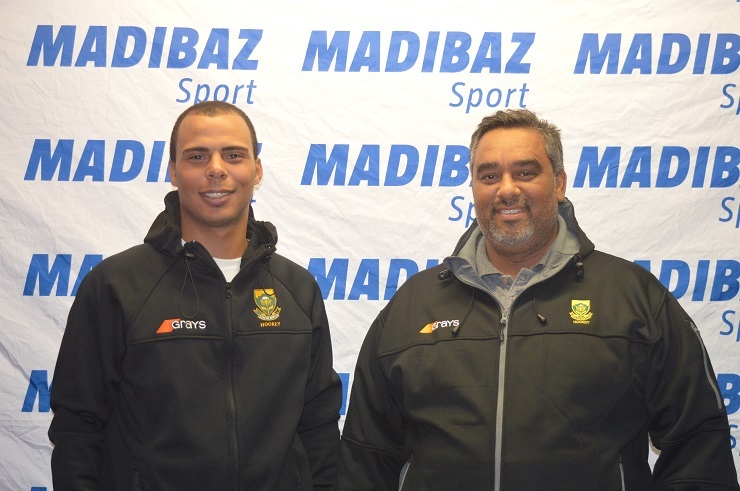 Having already been involved with the national team this year, Madibaz hockey coach Cheslyn Gie is excited to receive another opportunity when he travels to the Africa Cup this weekend. Starting on Sunday in Ismailia in Egypt, the long-serving Nelson Mandela University coach will be joined by ace Madibaz striker Ignatius Malgraff in the South African squad as they attempt to defend the title. Gie will be assistant coach to interim national mentor Sheldon Rostron and said they realised they faced a tough week. “It’s an important tournament because a spot in the World Cup is at stake for the winners,” he said. Gie pointed out that they played against Egypt in the World League semi-finals a few months ago and felt they would be the South Africans’ main rivals. The 24-year-old Malgraff, a striker with a healthy appetite for scoring, has turned out for the national team on a number of occasions, but said it remained an extremely proud moment to play in the green and gold. “Being able to say that you are one of South Africa’s best hockey players is always good, but it keeps me humble and keeps me going,” said the East London-born player.